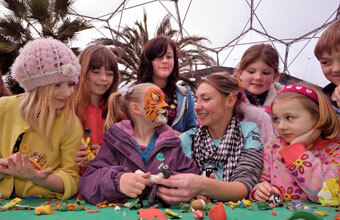 VISITORS to the Eden Project during half term (February 16-24) will be able to take part in Animate It! with Shaun the Sheep - a week of fun, interactive events celebrating the new series of Shaun's show. At the centre of the event are the hands-on model-making workshops with real Aardman experts and the live Animate It! shows that take place each day to help people master animation tricks. Visitors can then head to the animation stations to make their very own Shaun-inspired film. There will be special trails around the site with activity sheets to complete and the chance to find hidden Shaun the Sheep characters along the way.